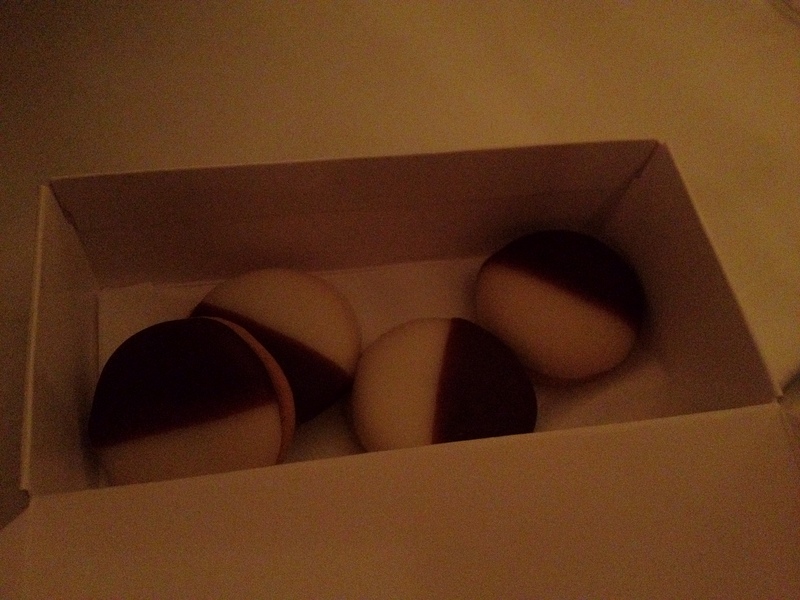 Home > Eating, New York City, North America	> NYC: Eleven Madison Park (Apr. 2013 #1): Mom’s Visit Meal #3! 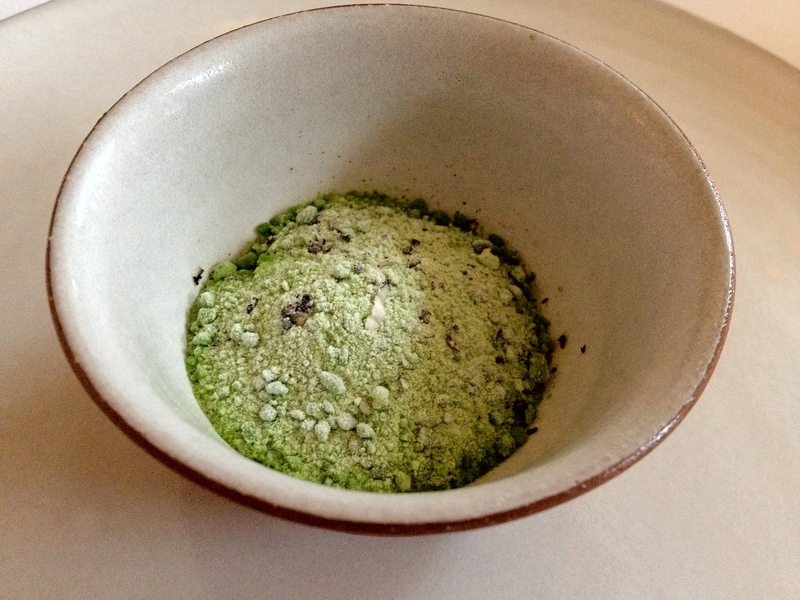 NYC: Eleven Madison Park (Apr. 2013 #1): Mom’s Visit Meal #3! Dinner: Mom’s Visit Meal #3! 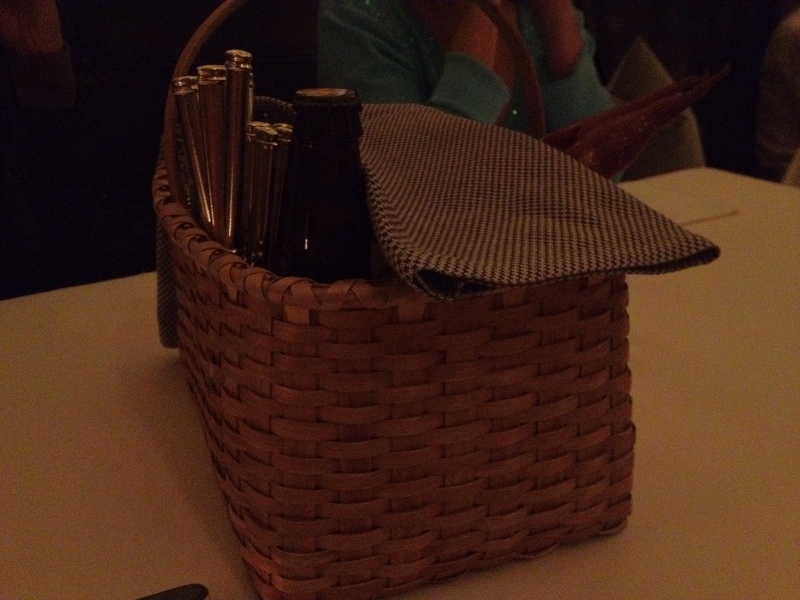 It got dark around the time we had the seventh course (brook trout), so the pics get considerably worse from then on. I’ll have better pics in the next EMP post; Monty’s taking me there for lunch ^___^! Jessie: I really liked this! 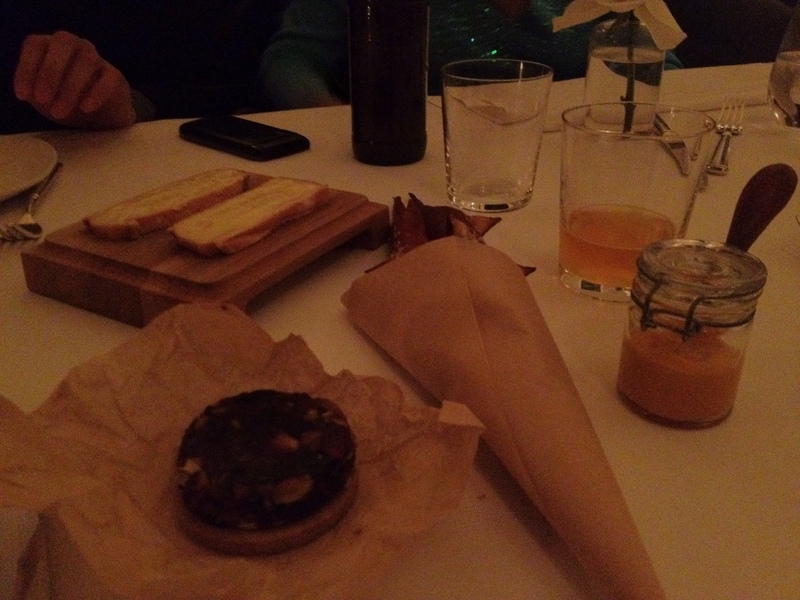 This was like an upper-class cheese Ritz sandwich. The texture was infinitely better than Ritz, and the cheese was clearly better… but it was the same, satisfying cheesy with a little bit of sweetness. Jessie: I thought this was really good. 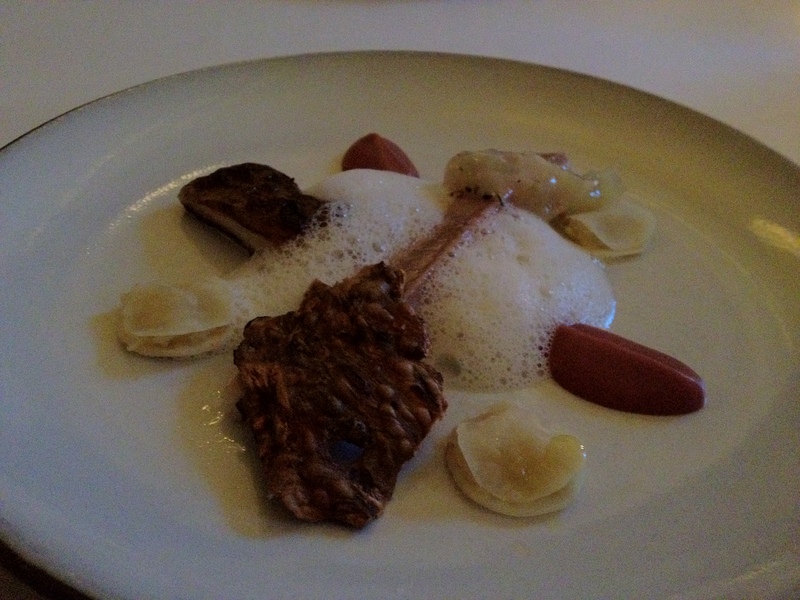 I liked the contrast of the cool gelatin with the creamy foie. It was really refreshing. Jessie: So cold… it made my teeth hurt. It was also really sour. This was not my favorite, but, as a palate cleanser, it does its job. 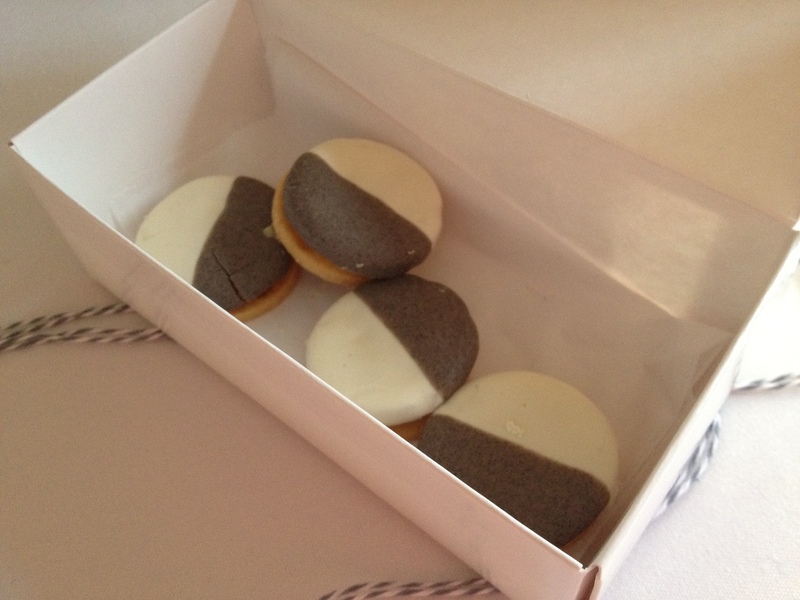 Jessie: So GOOD! I really enjoy seeing eggs cut like this, because I think it’s so AWESOME. The cream is very good, and I liked the sturgeon at the bottom. It wasn’t heavy at all, which I enjoyed. Jessie: This was good, but it was a more difficult dish, in my opinion, to eat elegantly. I really loved the caviar cream cheese (I love caviar, and I love cream cheese—put ’em together, and you can’t go wrong!). It went well with the bagel crisp… it reminded me heavily of cream cheese and lox, but, obviously, more delicate and less heavy. The smoked sturgeon was good on its own, but I thought it kind of overpowered the cream cheese and caviar if eaten together. To be completely honest, I usually don’t like pickles, so it’s a high compliment when I say that I tolerated the pickles here. I liked the cucumbers, though; there was a little bit of sourness from being next to the pickles, but they were definitely not too pickle-y. The salad was good. 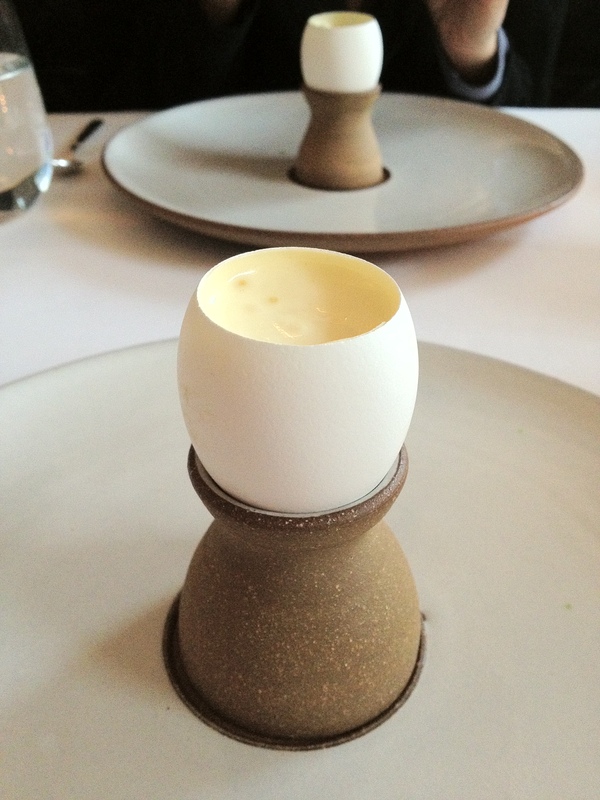 I liked the quail egg, but I especially liked the crumble underneath. Major yums. Jessie: Really good. Definitely richer and fattier than the terrine. Jessie: I think I liked this better than the seared one because it felt lighter. 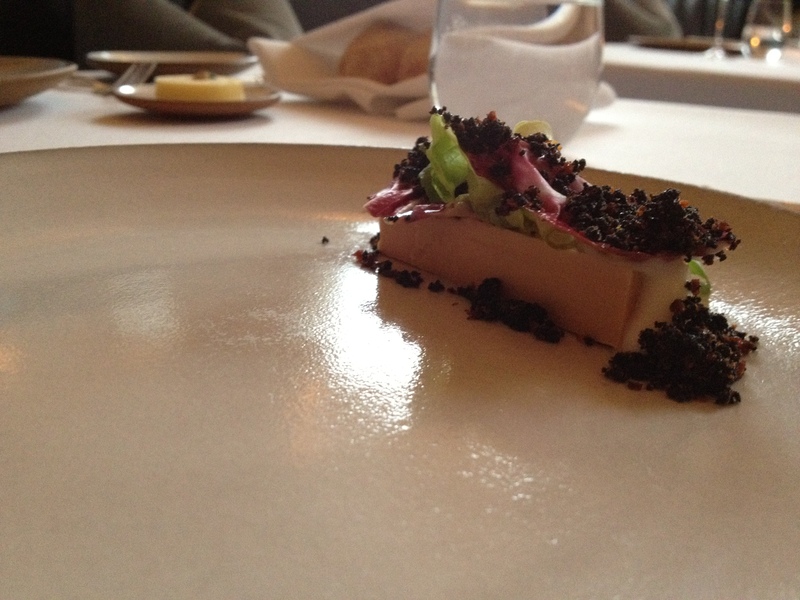 Let me just say this—when compared to the other fine dining establishments Victor patronizes, I think EMP’s portion of foie is a LOT more reasonable. 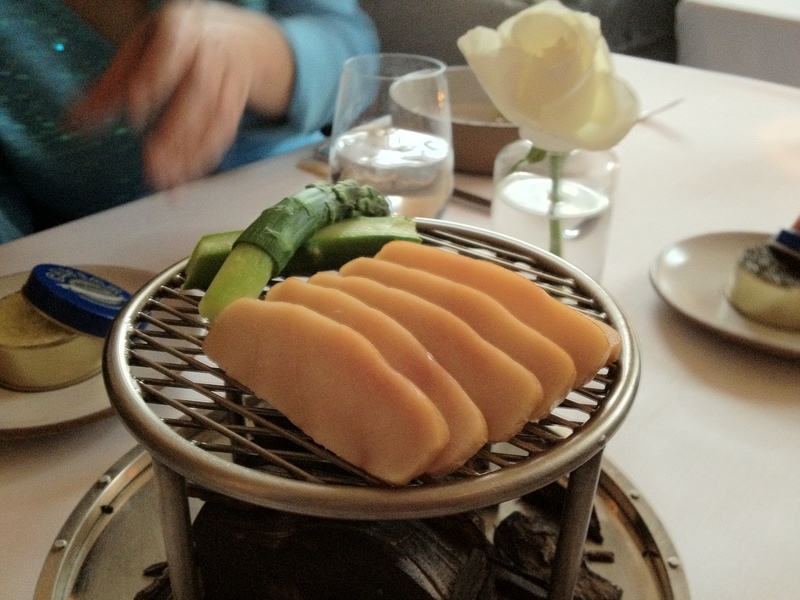 I can eat this much foie without fearing that I will be at risk of imminent heart attack—but not too much more. 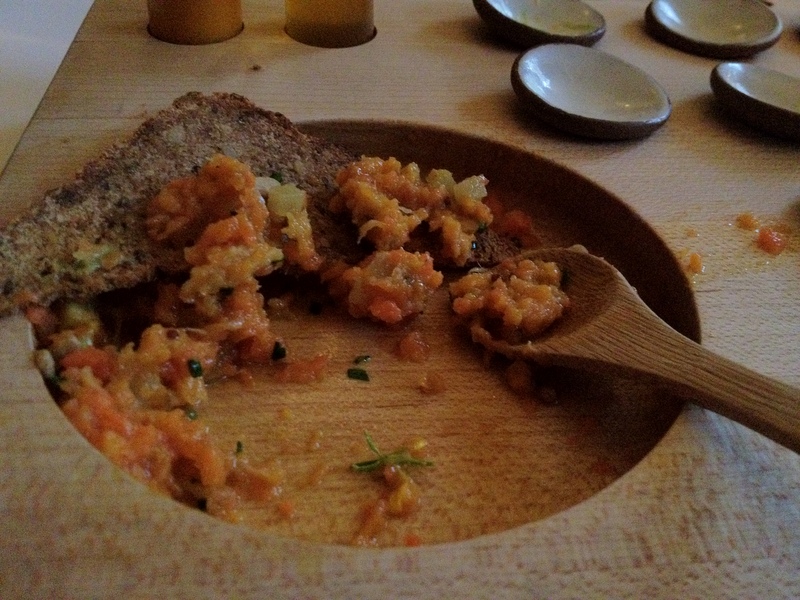 Instructions: Mix all the ingredients with the tartare and shave it over the multigrain bread! Apparently, the rye bread and condiments are static, while the type of carrot they use changes at times, depending on what’s most in season. Jessie: I thought this dish was super fun! 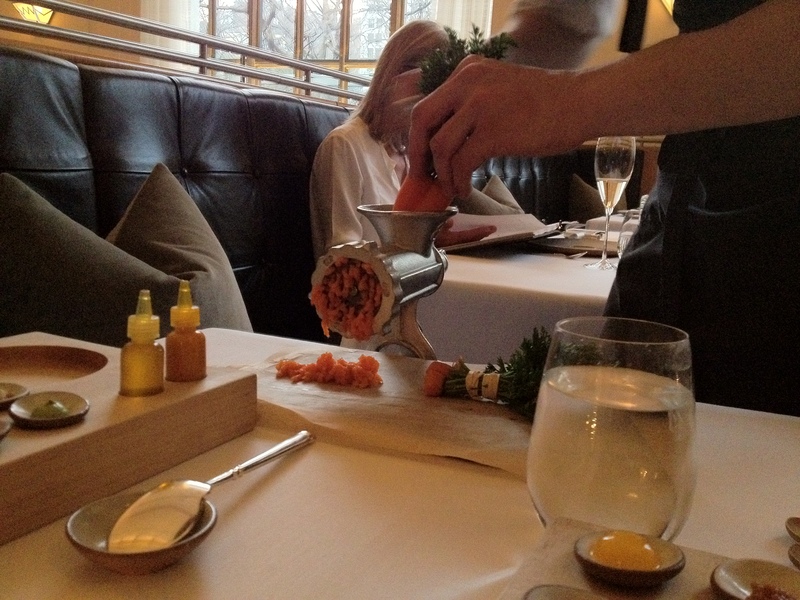 I liked watching the carrot come out of the meat grinder. 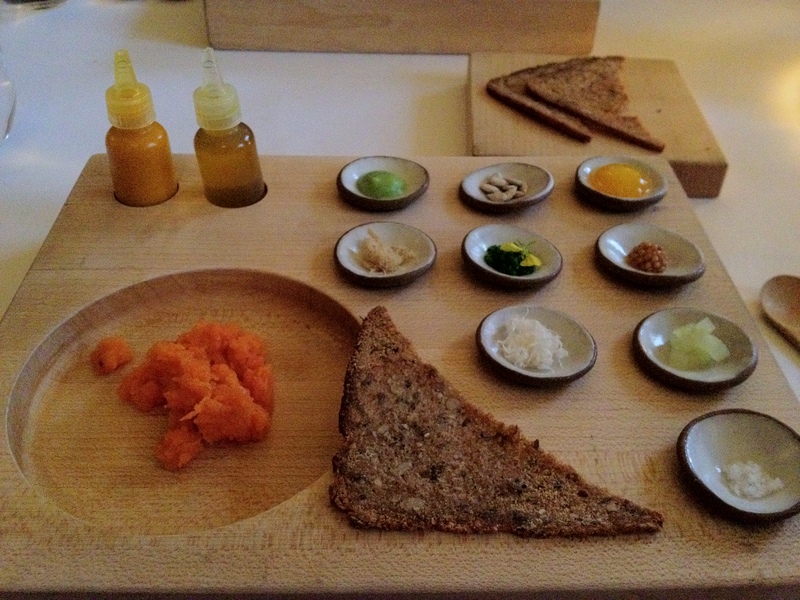 It was also interesting putting all the little condiments together. I wish I had the foresight to taste the things going in individually (e.g., the pickled quail egg—how do you pickle a quail egg?!?). 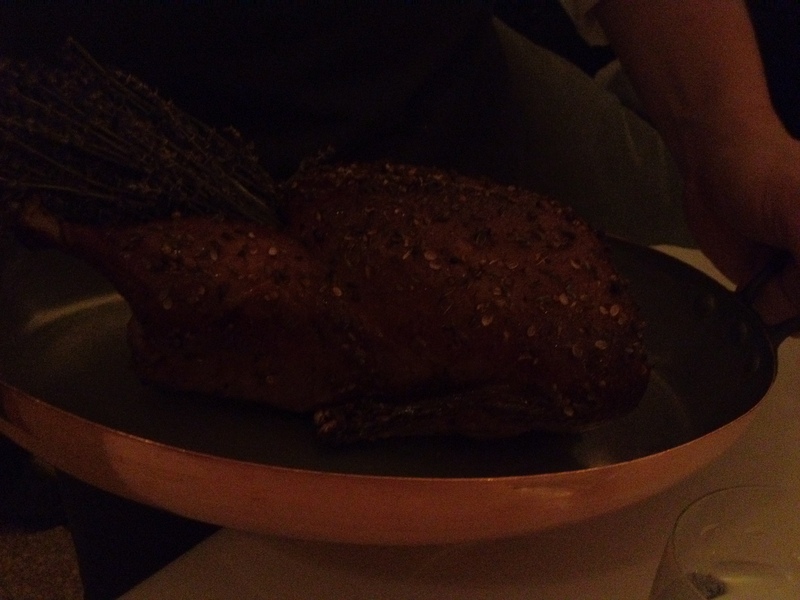 As a whole, the dish was interesting and rustic. It wasn’t my favorite of the night taste-wise, but it was fun presentation wise. P.S. the person making the carrot was mad cute. Victor: Whaaaat—whether the person making the carrot was super cute or not is totallllly irrelevant! Jessie: I really liked this. The trout was kind of salty, but it paired well with everything else. I didn’t love the wafer thing, but it was a nice contrast of texture. The trout was cooked really really well. It was really tender and yummy. Victor: I really enjoyed this dish as well, for generally the same reasons Jessie did. Plus, the person who brought out the dish was really cute ^__^. Jessie: YUM. Really really yum. 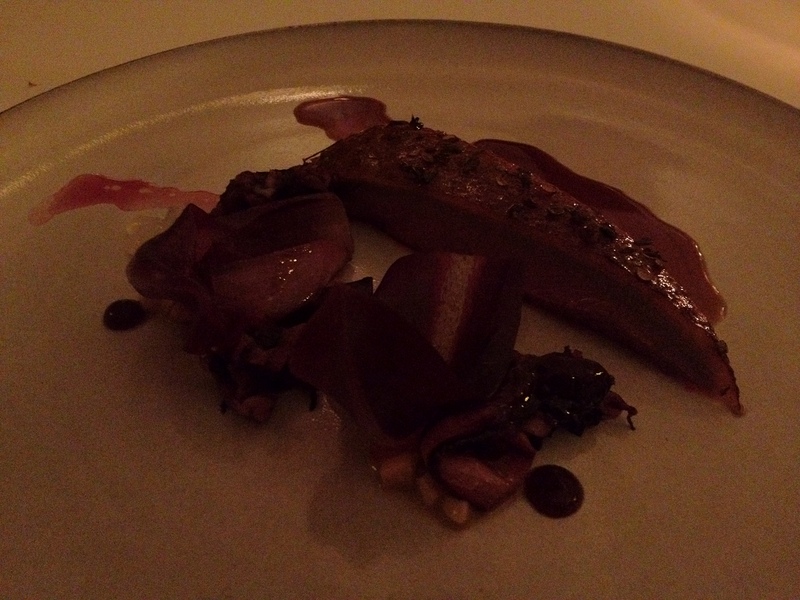 I’m a duck-loving, duck-eating–kinda gal, and this was one of the best duck dishes I have ever had. It was just the right amount of fatty to make it juicy and delicious… The skin was crispy… It had cumin on it, and it reminded me a lot of yang rou chuan/lamb kabobs (which I love), so mmmm. Jessie: Omg. So good. I think this was my favorite dish of the whole night. The top was light, creamy, and deliciously buttery. 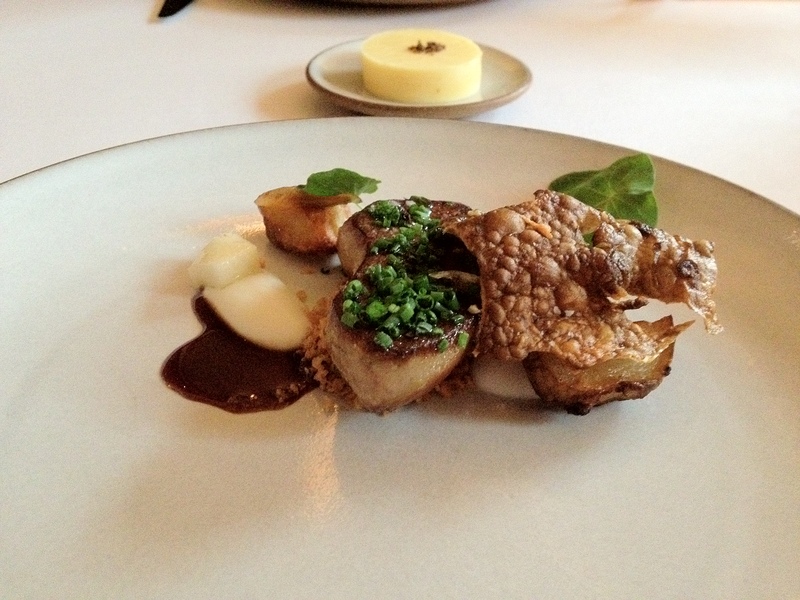 The duck confit and foie gras were rich to contrast with the top part. It was a perfect marriage—the Bonnie and Clyde of food. AMAZING. So good. (SO fattening). I ate it in two spoons. Literally. It was so good. I think any more would have been overbearing, so the portion was perfect, too. The cheese and mustard were both prepared with the beer, so the whole course kind of revolved around the beer, which is custom-brewed for the restaurant by Ithaca Beer Co.! This was cute. I thought it worked well with the smoke course and the carrot course… It came off as a more “casual” vibe to fine dining if that makes any sense. It was a twist on casual home dining. 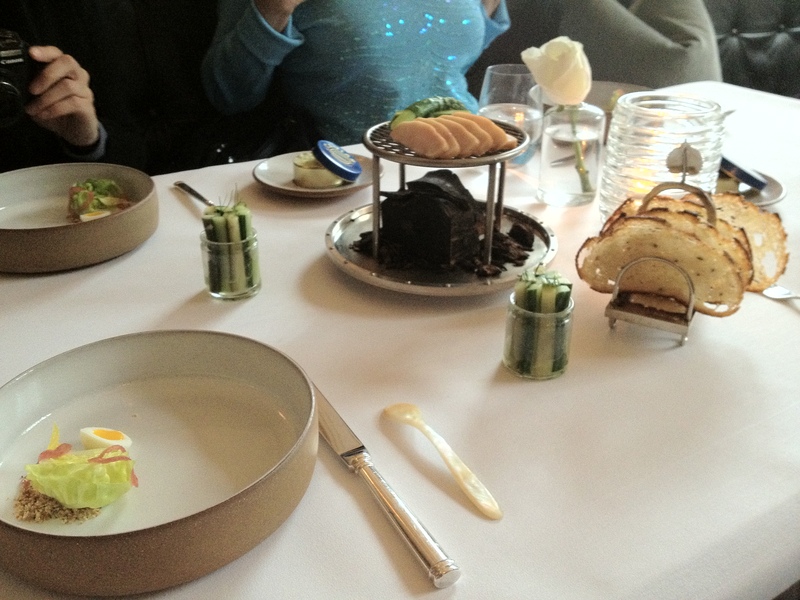 However, these “casual” dishes were interspersed with the more traditional fine dining pieces, so I thought the theme wasn’t as apparent at the time… but, now that I think about it, it makes sense. I disliked the beer, but I normally dislike hoppy beers… I liked the pretzel, except it was burnt at the ends. The pretzel was soft on the inside and crispy on the outside. 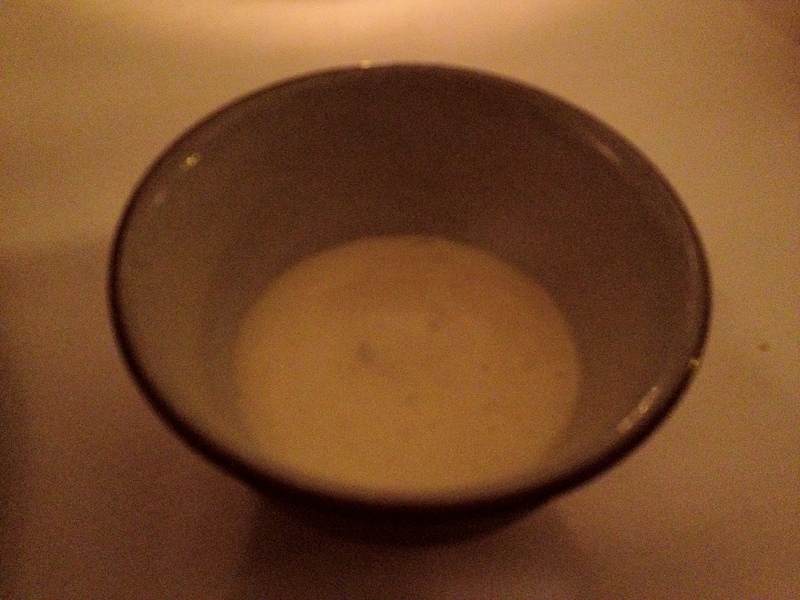 I liked the mustard a lot… though it could have been spicier, I guess. I also liked the cheese. Victor stopped me from eating all the cheese (though I could have) because I hadn’t been to the gym for 3 days. Thanks for looking out for me, bro. 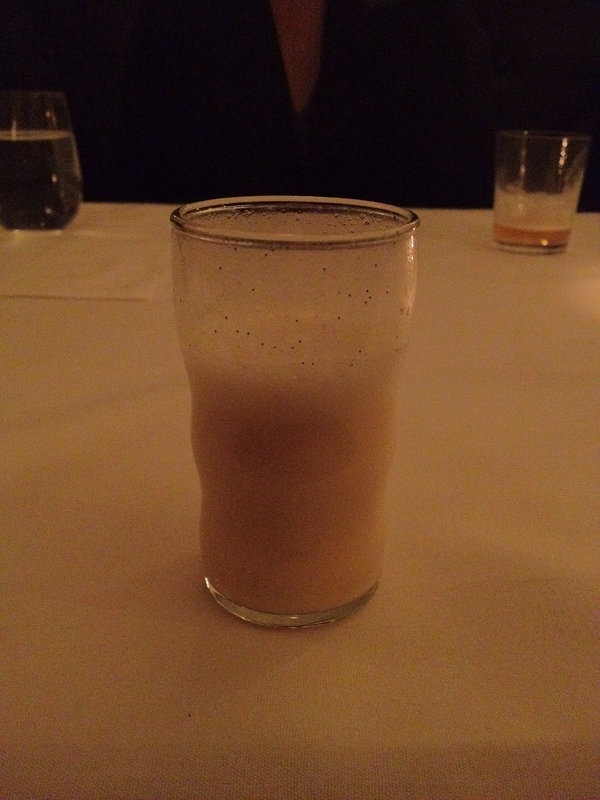 For those curious about the history of the egg cream, here’s the wiki! Victor: This was a really interesting dessert. 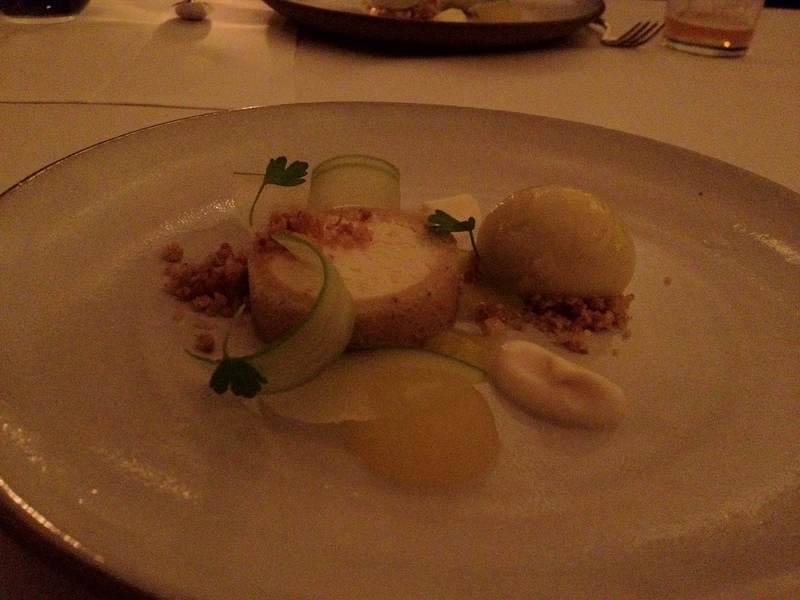 The taste of the celery was pretty strong, and the apple sorbet provided a slightly sweet flavor profile that complemented the celery. There were also really thin slices of apple that were probably marinated in celery juice. 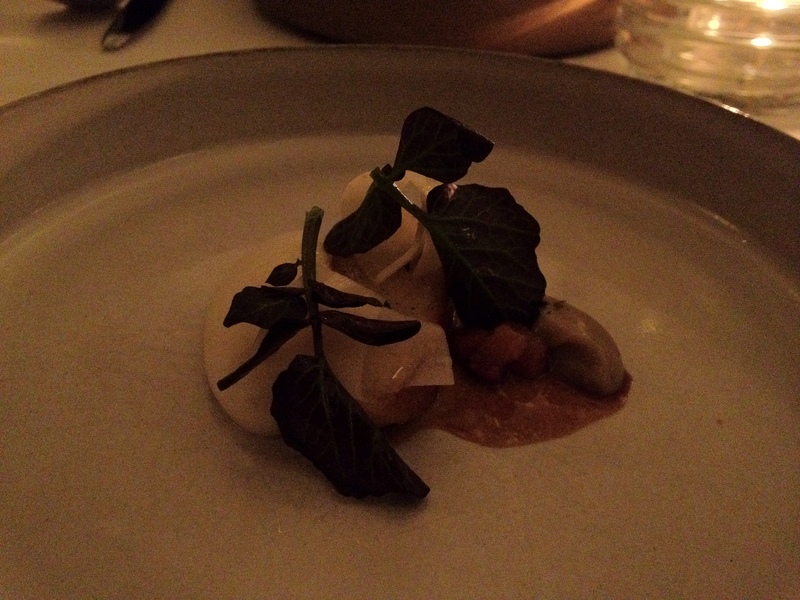 The texture was that of apple, but the flavor was that of celery. This seemingly simple dessert was definitely more deceptive than one would think haha. The dessert was sweet overall, but it wasn’t overpowering, and it was a dessert that my mom, who doesn’t like foods that are too sweet, enjoyed a lot. Let me just say that I LOVE sorbet. As I have mentioned before, I usually think sorbets are a little watery. This was another non-watery, perfect sorbet. 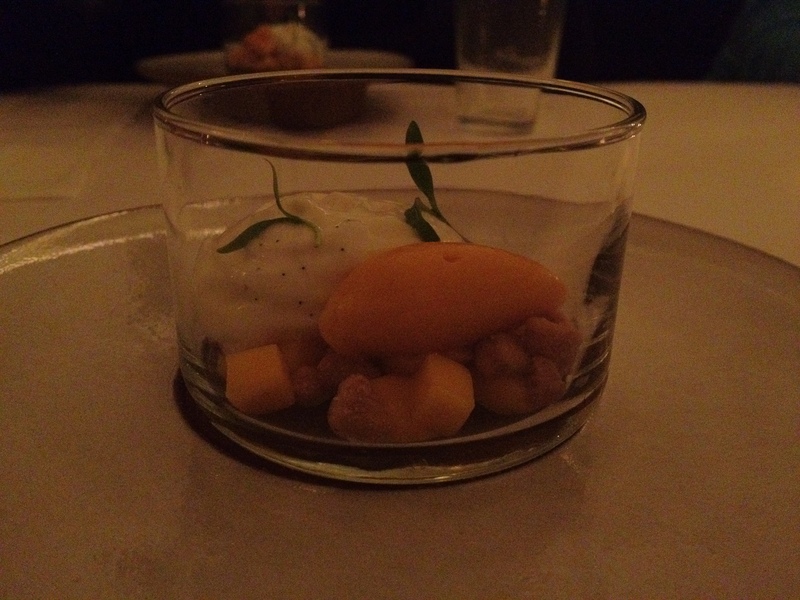 It was just sweet+sour enough… great palate cleanser. 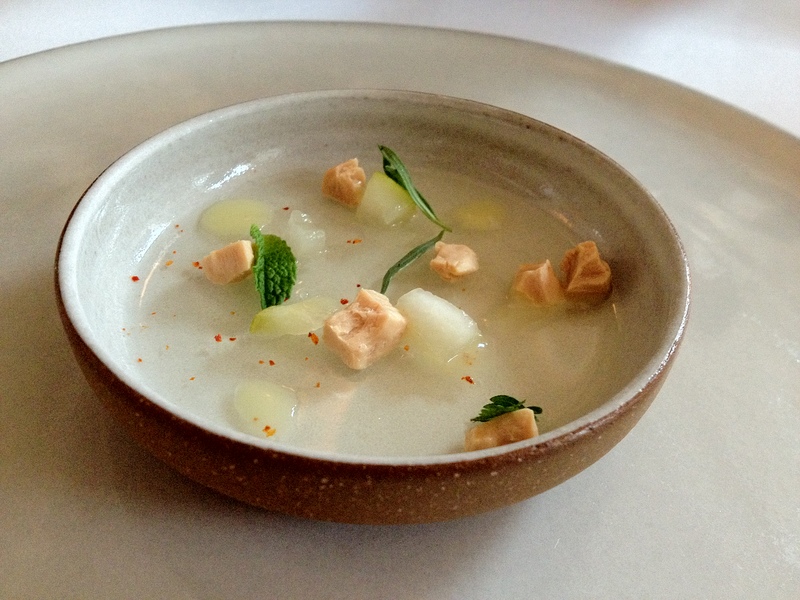 The little pieces of apple marinated in celery juice were cute… a little mind game that I enjoyed immensely. Now for the crème cake. The cake was fine. I enjoy cake. But it was nothing to write home about. The crème, now, just tasted like tasteless whipped cream. I couldn’t taste anything except for fatty crème. It worked with the cake, to a certain degree, but I thought it was too much tasteless crème to tasty cake. Jessie: This was like cheesecake-flavored yogurt (made me feel a bit healthier). This was AMAZING, probably because it was a combination of things I love (I love cheesecake, I love yogurt, I love peanuts, and I like mangoes). Another nice sorbet. Jessie: This BLEW MY MIND. Like HOWWWWW did they do this? The chocolate was yummy enough, but not spectacular. But the presentation was SOOOO COOOL. 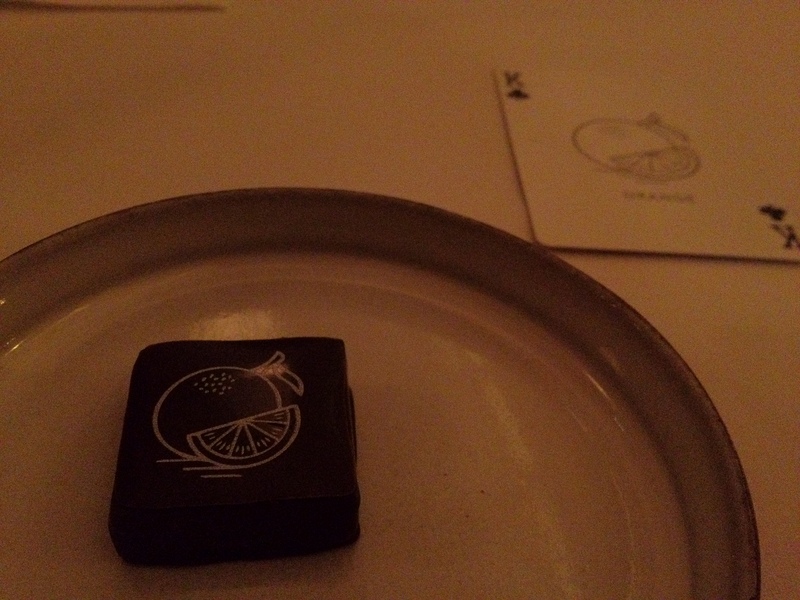 Victor’s cousin told me that this was a traditional sleight-of-hand… but so cool at a resto. 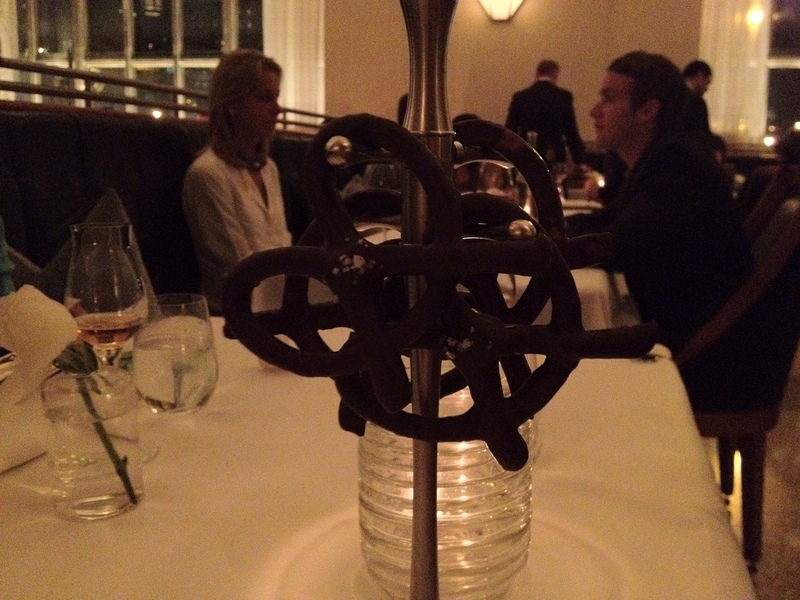 Victor: We finished the meal with some applejack, deliciously rich chocolate pretzels, and sweet black-and-white cookies! Jessie: I don’t have much to say about this. The inside wasn’t as crunchy as a normal pretzel, which was nice… I’m not in love with salty chocolates… so I didn’t love it as much as I could have (didn’t stop me from eating all of it, of course…). 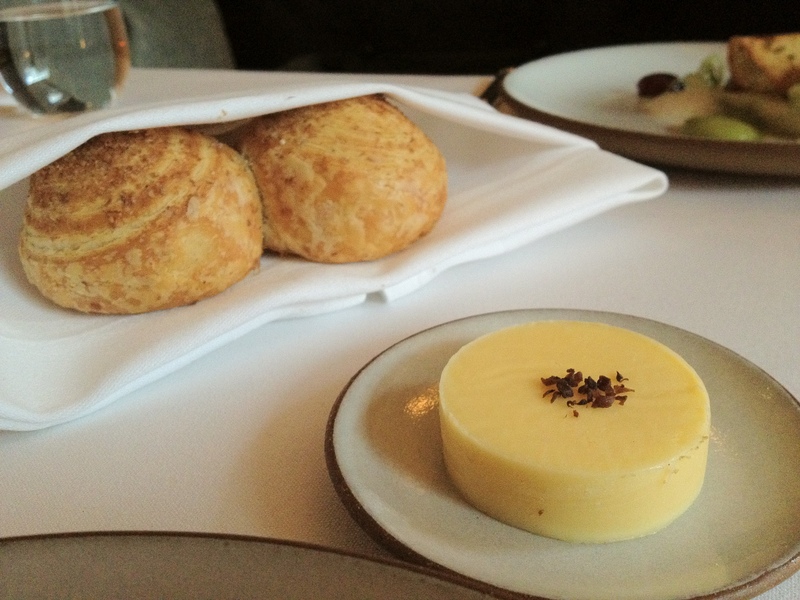 NYC: Eleven Madison Park (Apr. 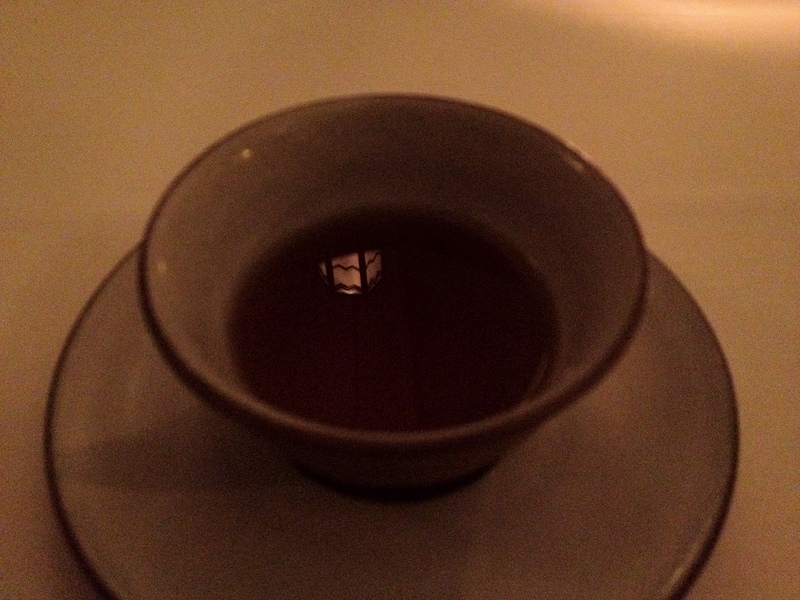 2013 #2) NYC: Dovetail (Apr. 2013): Mom’s Visit Meal #1!